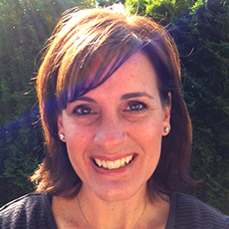 Wendy Strobel Gower is a program director at the Yang Tan Institute. Wendy has been on the Northeast ADA Center team for since 2001 years and served as the Center Director since 2010. She holds a Master’s degree in Rehabilitation Counseling from the Medical College of Virginia at Virginia Commonwealth University (VCU). Wendy has worked extensively in the application and training of issues around employment and reasonable accommodation in the workplace for people with disabilities. She has gained valuable experience in project management and project direction over the past ten years. Other areas of interest include person centered planning philosophy and tools, disability legislation and its impact on disability services and the inclusion of people with disabilities in the workplace, and the identification and accommodation of the functional limitations of disabilities across the lifespan. Joe Zesski is the Program Manager of the Northeast ADA Center and has served as the New Jersey affiliate of the Northeast ADA through Resources for Independent Living since 2009. 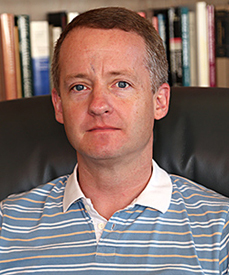 He has a Master of Divinity degree from Harvard University and a Bachelors in English Communications from Cabrini University. 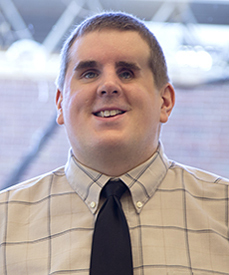 Mr. Zesski's focus has been on assistive technology, accessible web design, the transition of students with disabilities from high school, and accommodations in the postsecondary education environment. He is the Community Education Coordinator at Resources for Independent Living; the independent living center serving Burlington County New Jersey. Joe also chairs the Burlington County Disability Issues Committee. 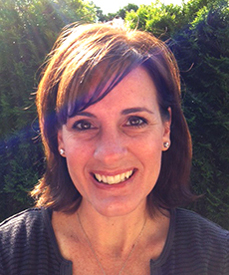 Michelle Alvord joined the Northeast ADA Center in January 2014. 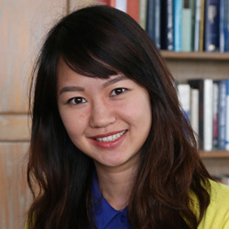 She provides support for YTI’s distance learning and online events. Michelle previously worked at News Channel 34 in Binghamton where she was a Television Director. 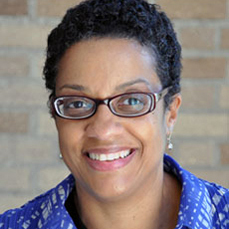 LaWanda H. Cook, Ph.D., C.R.C. LaWanda H. Cook joined the staff of the Northeast ADA Center as an Extension Associate/Training Specialist in July 2010. She has extensive experience in vocational counseling and personnel management within public and non-profit organizations. 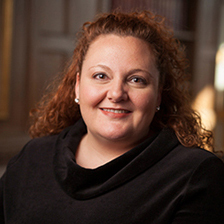 She holds a BS in Rehabilitation Services from the University of Connecticut, a MS in Human Resource Management from Rensselaer Polytechnic Institute, and a PhD in Recreation, Sport and Tourism from the University of Illinois. 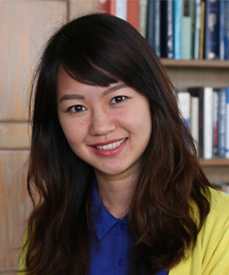 Her research interests include the wellness and social inclusion of people with disabilities in work and leisure settings. Liz Gipson joined the Northeast ADA Center in May of 2017 as the Project Assistant and provides administrative, programmatic, and research support to the project staff. 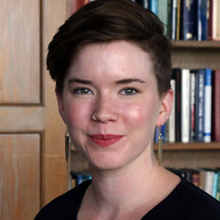 Prior to joining YTI, Liz worked as the Director of Public Affairs at Planned Parenthood of the Southern Finger Lakes, overseeing policy, advocacy, and grassroots organizing programing. She also worked Program and Administrative Associate at the National Institute for Reproductive Health, where she worked on health policy research and provided administrative support. 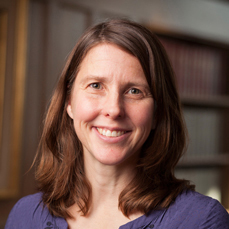 She holds Bas in Art History and Women, Gender & Sexuality Studies from Barnard College. Jennifer Perry has worked in the accessibility field for over nineteen years, with a focus primarily on design and construction issues. She provides accessibility training for architects, code officials and other stakeholders that are tailor made for jurisdictions and include state specific accessibility requirements. Jennifer also provides technical assistance to these individuals. Before joining the Northeast ADA Center in 2014, Jennifer worked for United Spinal Association as a Compliance Specialist, proving plan review, site assessments and training programs to assist design professionals and building owners with state and federal accessibility compliance concerns. Prior to her role as a Compliance Specialist, Jennifer worked in United Spinal's Government Relations Program, where she advocated for the rights of people with disabilities in both Advocacy and Legislative roles. 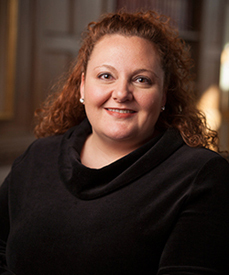 Jennifer holds a B.A in Political Science and French from King's College in Wilkes-Barre, PA and is a registered International Code Council (ICC) Accessibility Specialist/Plans Examiner. She has served on several ICC Task Groups, including the Visitability and Government Relations Task Groups. 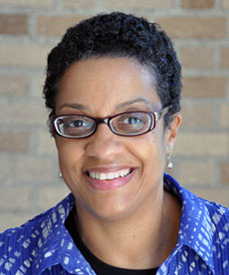 She was a member of the Philadelphia Accessibility Advisory Board from 1998-2005, and currently serves as the Vice President of the Board of Directors for the Housing Equality Center of Pennsylvania. Jennifer and her family live in Sea Girt, New Jersey. 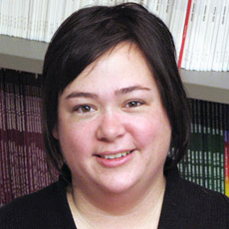 Sarah von Schrader is involved in both research and evaluation for the Northeast ADA Center. 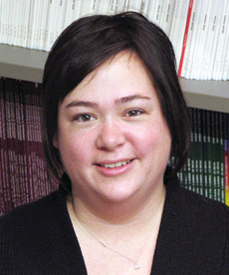 She is leading the center’s research project on small business implementation of Title I of the ADA. 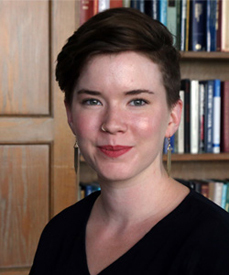 Since 2009, Sarah has been conducting research using discrimination charge data from the Equal Employment Opportunity Commission, that research is intended to inform TA and training on limiting workplace discrimination. Sarah’s broader research agenda focuses on employer practices related to employer success in recruiting, hiring, and advancing individuals with disabilities. 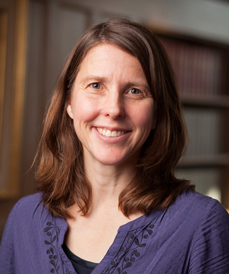 Sarah earned her doctorate in Educational Measurement and Statistics from the University of Iowa and currently serves as the Associate Director of Research at the Yang Tan Institute at Cornell University. 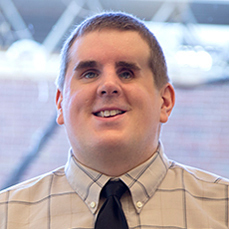 Chris Sweet joined the Northeast ADA Center in March 2015 as a Technical Assistance and Outreach Specialist. Chris provides technical assistance consultation to a variety of constituents for the Northeast ADA Center (NEADA) funded by the National Institute of Disability Rehabilitation Research (NIDRR). Chris previously worked for Arise Inc. of Syracuse where he served as Lead Regional Resource Development Specialist: NYS Department of Health's TBI Waiver Program. Chris also has experience as a Service Coordinator and Placement Coordinator providing case management and career counseling services. 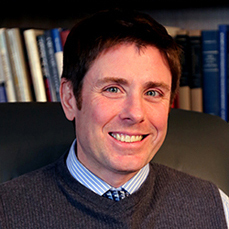 Jeffrey Tamburo, LMSW, is a Training and Content Development Associate for the Northeast ADA Center, located in Cornell University’s K. Lisa Yang and Hock E. Tan Institute on Employment and Disability. Jeffrey develops and delivers training to individuals, organizations, and employers in the Northeast ADA Center territory of New York, New Jersey, Puerto Rico, and the U.S. Virgin Islands. Jeffrey spent many years as director of employment services for a disability service organization, and has been providing training to employment service professionals for over ten years. As a result, he has a particular interest in employment issues covered by Title I of the ADA. In his work at the Northeast ADA Center, Jeffrey’s passion is to work with organizations to develop training and resources that will educate and enlighten others on not only their legal obligations under the ADA, but also the practical and human impact of the ADA, and disability inclusiveness, on employers, and on job seekers and employees with disabilities. As a trainer, his approach and goal is to not simply convey the law, but to make the information interesting, relevant, provocative and fun to those participating in his training sessions. 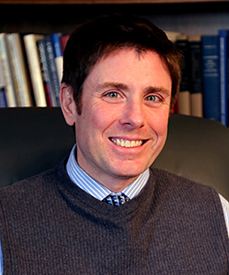 Jeffrey’s work at Cornell also includes the New York State Consortium for the Advancement of Supported Employment (NYS CASE), which strives to enhance the capacity and proficiency of statewide employment services providers through training and technical assistance. He also works on the Diversity Partners project, a federal initiative focused upon strengthening relationships between employment services professionals and employers. 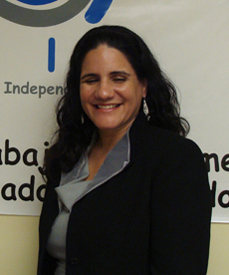 Yessica M. Guardiola-Marrero began working as a Technical Assistance Specialist for the Northeast ADA Center in February 2010 and provides free technical assistance and training on our behalf in Puerto Rico through our affiliate, Movement for Independent Living (MAVI by its Spanish acronym). She assists Spanish-speaking callers from the whole Region and participates in ADA and disability related educational activities in Puerto Rico. Yessica holds a Juris Doctor Degree from the Pontifical Catholic University of Puerto Rico (PUCPR) and a Bachelor Degree in Social Work from the University of Puerto Rico (UPR). Since 2005 she has been the President of the Persons with Disabilities Rights Commission of the Puerto Rico Bar Association. Since August 2016, she is a Mentor in the University of PR School of Law’s Pro Bono Program for: ADEPI (the Spanish acronym of Access, Dignity and Equality for People with Disabilities). Since September 2016, she is President of the State Rehabilitation Council and is a member of the State Council on Developmental Disabilities. She is also a member of the Help America Vote Act Committee of the State Election Commission, member of the State Road Safety Committee, and part of the PR Blue Flag Board regarding beaches accessibility. As a voluntary work, Yessica also is part of the Board of Directors of the Cooperative of Services for People with Disabilities. Español: Comenzó a trabajar como Especialista en Asistencia Técnica para el Centro de la ADA del Noreste en febrero de 2010 y provee asistencia técnica y adiestramiento gratuitamente a nombre nuestro en Puerto Rico a través de nuestro afiliado, el Movimiento para el Alcance de Vida Independiente (MAVI). Asiste a personas de habla hispana de toda la Región y participa en actividades educativas en Puerto Rico, relacionadas con la ADA y discapacidad. Yessica tiene el grado de Juris Doctor de la Pontificia Universidad Católica de Puerto Rico (PUCPR) y su Bachillerato es en Trabajo Social de la Universidad de Puerto Rico (UPR). Desde el 2005 ha sido Presidenta de la Comisión para los Derechos de Personas con Impedimentos del Colegio de Abogados de Puerto Rico. Desde agosto de 2016 es Mentora en el Programa Pro Bono de la Facultad de Derecho de la Universidad de PR de: ADEPI (Acceso, Dignidad e Igualdad para Personas con Impedimentos). Desde septiembre de 2016, es presidenta del Consejo Estatal de Rehabilitación y es miembro del Consejo Estatal sobre Deficiencias en el Desarrollo. También es miembro del Comité de la Ley de Ayuda a EU a Votar (HAVA por sus siglas en inglés) de la Comisión Estatal de Elecciones, miembro del Comité Estatal de Seguridad Vial y parte de la Junta de Bandera Azul de PR acerca de la accesibilidad en las playas. Como trabajo voluntario, Yessica también forma parte de la Junta Directiva de la Cooperativa de Servicios para Personas con Discapacidad. Archie Jennings Esq. 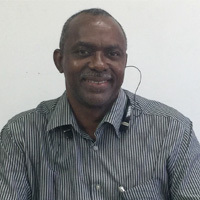 Managing Attorney for the Disability Rights Center of the Virgin Islands (DRCVI), joined the Northeast ADA Center in 2013 when we created an affiliate relationship with the DRCVI. He provides technical assistance and training on our behalf to our constituents in U.S. Virgin Islands. Archie has a long standing legal career having worked previously with the Legal Aid Society in the state of Ohio, the Legal Services of the Virgin Islands as the Litigation Coordinator, and in private practice. 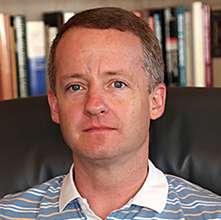 In 2004, Archie joined DRCVI as its Managing Attorney. In addition to handling cases, he is responsible for the supervision, training, and skill development of the DRCVI advocacy/outreach staff. 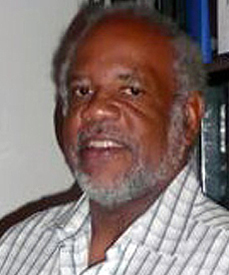 Julien E. Henley, Sr. is a native of St. Thomas, Virgin. 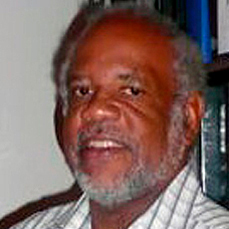 He presently serves as an ADA Consultant and Trainer for the Disability Rights Center of the Virgin Islands (DRCVI). 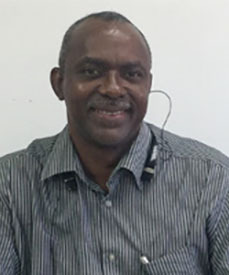 After graduating from Charlotte Amalie High School in 1980, Mr. Henley began working at Kinney’s Shoe Corporation, eventually becoming General. He then transferred to Champs Sports as a General Manager and soon thereafter became the Regional Manager. Julien Henley later worked for Passman Galleries, the home of independently crafted jewelry and fine objects. After two years of employment at Passman Galleries, he became the General Manager of their Alaska and St. Thomas locations. In 2008 he was promoted Regional Manager over their Cayman Islands and St. Thomas locations. In 2008, Mr. Henley was shot in a senseless act that paralyzed him from the waist down. After returning home to St. Thomas, Julien Henley became actively involved in the launching and development of St. Thomas Crime Stoppers satisfying his desire is to do away with crime in St. Thomas. Mr. Henley serves as Chairman of the State Rehabilitation Council Board and many other disability organizations. He has a great determination to improve the lives of all Virgin Islanders by creating opportunities for individuals with disabilities. 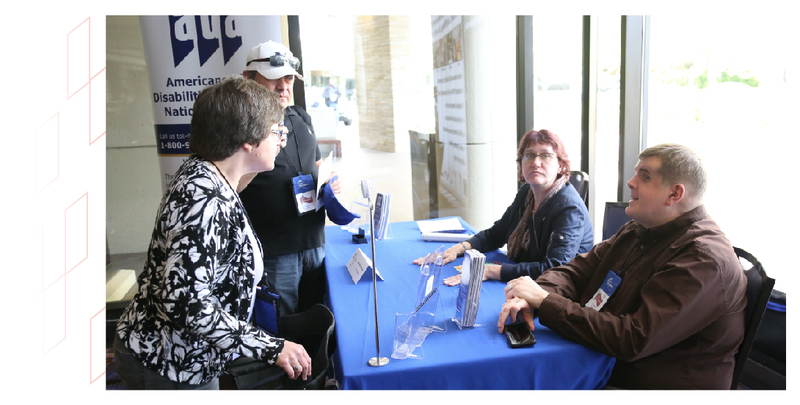 The Northeast ADA works with various organizations regionally and nationally. The Center has affiliate partners in New Jersey (Resources for Independent Living), Puerto Rico (Movimiento para el Alcance de Vida Independiente), and the US Virgin Islands (the Disability Rights Center of the Virgin Islands). These affiliates contribute to the Northeast ADA's mission and function as well as provide insight into local disability trends and concerns. Nationally, the Northeast ADA is a member of the ADA National Network (ADANN) and collaborates with other centers in the ADANN. Finally, the Northeast ADA partners with the ADA Knowledge Translation Center of the University of Washington in data tracking and in developing materials for the ADANN. Resources for Independent Living (RIL) is a community based member organization whose purpose is to serve people with disabilities. Membership is open to all people with disabilities, their able-bodied friends, and supporters. RIL promotes personal growth and empowerment through choice, self-determination and participating programs providing information, education, skills development, and networking opportunities. Joe Zesski, a Resources for Independent Living staff person, provides training and technical assistance on behalf of the Northeast ADA Center. Through his efforts as a TA Specialist, trainer, and staff person at an ILC, he has been able to provide us with insight into the needs of ADA Stakeholders in New Jersey, help to promote ADA implementation, and ensure training and information needs are being met, throughout New Jersey. MAVI serves as our affiliate organization in Puerto Rico. This partnership is invaluable to promoting increased implementation of the ADA in Puerto Rico. It is critical that the Northeast ADA Center provide staff that not only speak Spanish, including Puerto Rican Spanish, but also understand the unique culture in this territory. 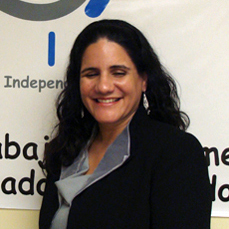 Yessica M. Guardiola Marrero, an attorney with a vision impairment serves as a trainer and technical assistance specialist on our behalf across Puerto Rico. The DRCVI serves as our affiliate in the U.S. Virgin Islands. DRCVI was created on October 1, 1977 and was then known as the Committee on Advocacy for the Developmentally Disabled, Inc., and later as Virgin Islands Advocacy, Inc. In their role as a Protection and Advocacy agency, they provide legal advocacy services to eligible person with disabilities in the U.S. Virgin Islands. As well as filling the role of the protection and advocacy agency for the U.S. Virgin Islands, DRCVI offers information and training about the ADA in the Virgin Islands on behalf of the Northeast ADA Center. The DRCVI staff involved in this project include Amelia Headley Lamont, Archie Jennings, and Kishma Creque.